I am looking forward to our LBDC | Lawyers’ Business Development Club | exclusive private-dining event for GENERAL COUNSEL which takes place in Mayfair, London next Tuesday (8 March 2016). Our thanks to Karena Vaughan (Director of Europe) and Julie-Ann Brace (Business Development Director) at Invest Northern Ireland for sponsoring our event. This will be an invitation-only event. 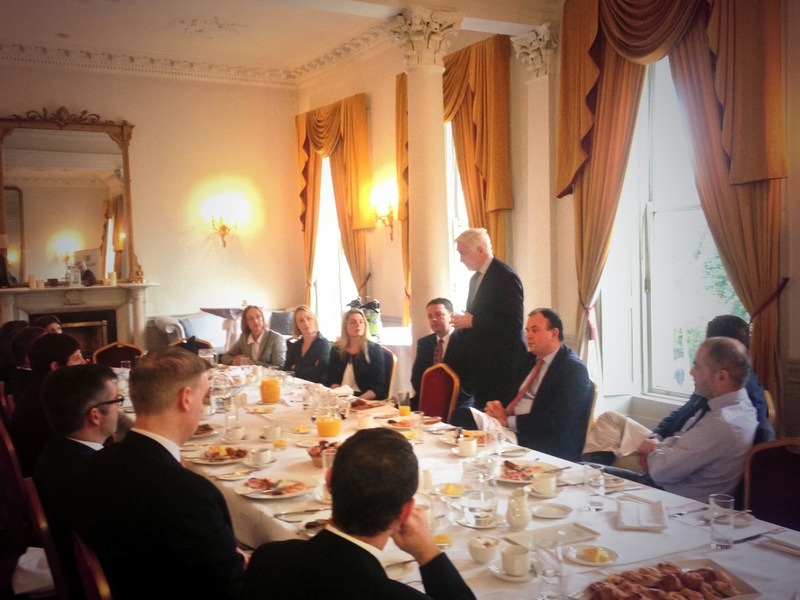 “Hi Colin, many thanks for the invitation to last week’s GC event. I thoroughly enjoyed it, and thought your choices of venue and speaker were terrific, as usual. Speak soon. 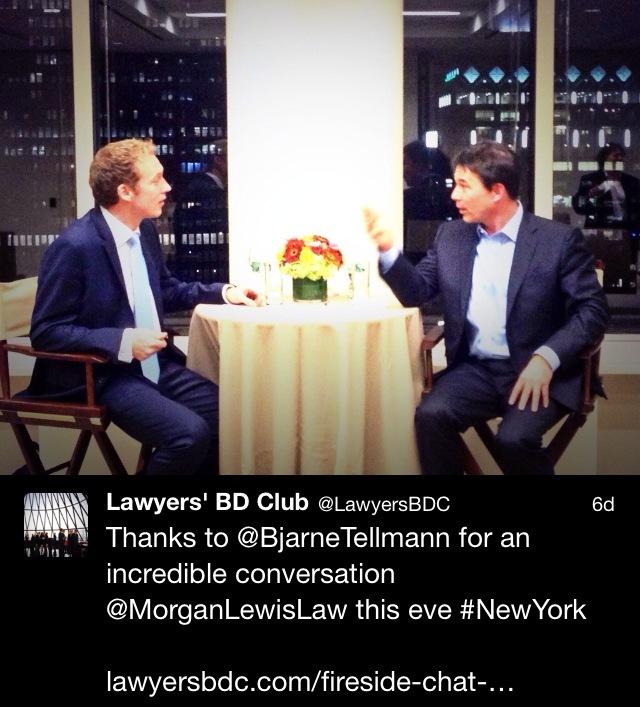 As some of you may know last October, we had a fireside chat in New York with Bjarne P. Tellmann (sponsored and hosted by Morgan Lewis). Bjarne’s conversation with us was a huge hit. If you were free on 19 April, it would be great to see you. I am sure you would enjoy the evening. Places will be limited at our special LBDC | Lawyers’ Business Development Club | event. A waiting-list will be in operation once all the places have been allocated.